Chuck Colson died Saturday. He went from the height of success in President Nixon's White House senior staff to ignominy and prison. He experienced conversion to Christianity and did not fight charges, cooperated with the prosecution and pled guilty. Colson was also at the forefront of the dialog of Christianity's role in our society. He was a master communicator on these issues. 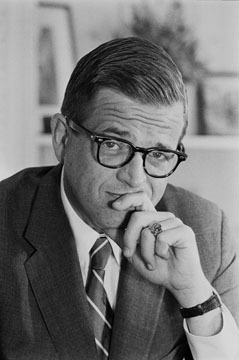 The photo: Colson in his White House years from Wikipedia.